Wassily Kandinsky (December 16, 1866 – December 13, 1944) – Russian graphic artist and painter, and one of the founders of abstract art. In addition, Wassily Kandinsky is the creator of watercolors – chaotic placement of lines and spots that do not represent and do not depict anything. Thus, the artist is fully committed to objectivity, he thought that it interfered with his paintings. At this moment in art began to develop a new direction – abstract. 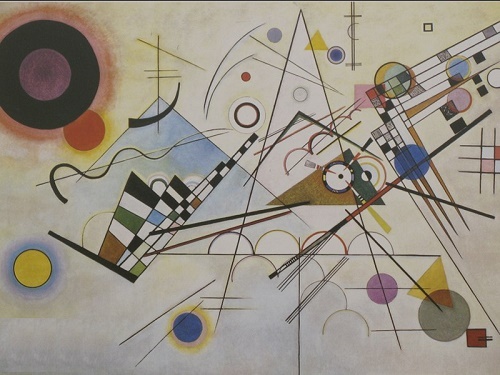 Abstract art continues to exist today, although it has little resemblance to the one that created Kandinsky. 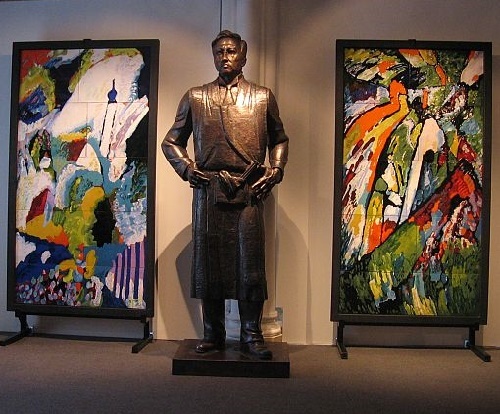 How sadly, in Russia there are no monuments dedicated to the renowned artist Wassily Kandinsky (neither to Chagall and Malevich). 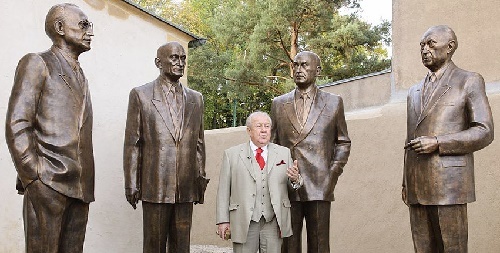 Sculpture by Zurab Tsereteli, therefore, is the only monument to the world famous founder of abstract art. 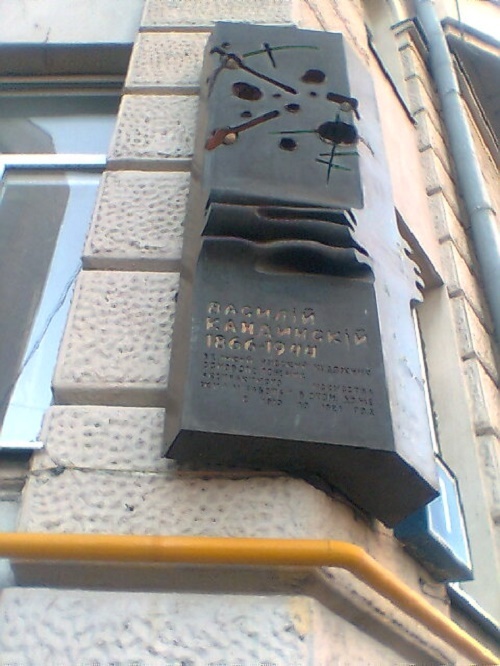 However, there is a memorial plaque on the house in Moscow, where Kandinsky lived. 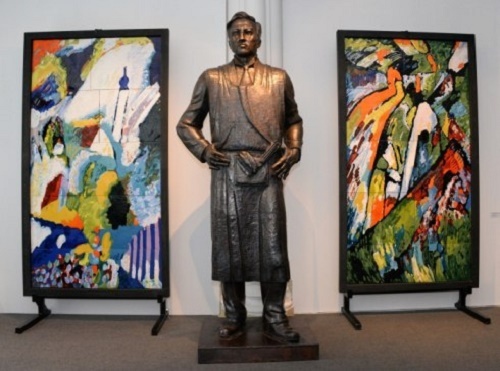 And only thanks to the talented sculptor Zurab Tsereteli monuments to Kandinsky, Chagall and Malevich appeared. “The composition №8” (1923) Wassily Kandinsky himself considered one of his main works – the exact expression of the theory about the emotional properties of shapes, lines and colors. At the time of its completion, he was working on the book “Point and Line on Plane”. Such a composition requires the viewer radically different approach to perception, as opposed to traditional painting. To see a picture, you need to get up so close to the colors and shapes to fill the entire field of view. Relaxation of eyes allows the seen to enter the part of the brain that is responsible for the perception of music. But analysis and attempts to see here the metaphor of reality destroys the whole effect.